German Shepherd Dog Forums > Training & Behavior of the GSD > How do I (teach my dog to)? > Train an Overprotective GSD mix? 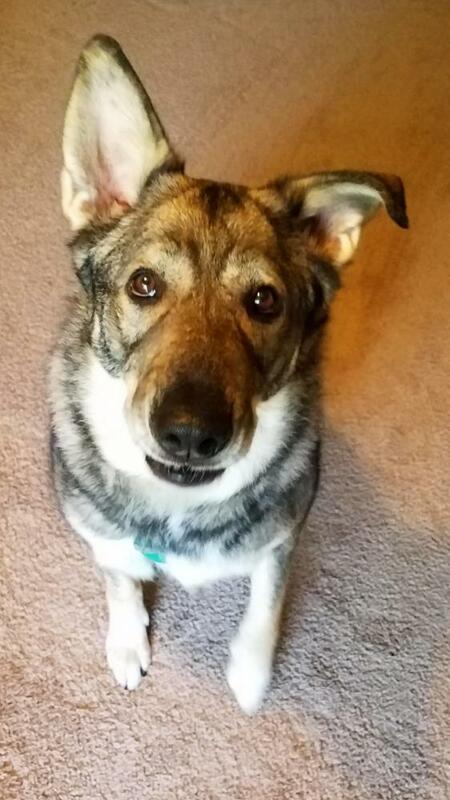 My boyfriend and I adopted a dog, his name is Balto, he's 5 years old, and is a GSD/ Alaskan Malamute mix. He is 80.5 lbs of mostly muscle. I say mostly because he could stand to lose a few pounds (I have a hard time finding his ribs). Anyway, we went to the shelter with our dog, Missy, a GSD/ Beagle mix (she's 50lbs) and they got along great. We saw no issues, the shelter told us Balto had no issues, he was an owner surrender because she let him roam freely and he got a taste for the neighbors' chickens. They said he was tested extensively and that he was great with kids, dogs, and cats. We take him home that day and everything is fine. Sunday we took him out to Petco and some other pet stores (gave him a bath and blow dry, which he handled like a champ) and we stopped for lunch at a restaurant that allowed dogs. Unbeknownst to us, they were hosting an adoption event, he did great. He fell asleep under the table. We get home, I go to the bathroom and I hear a scuffle, boyfriend broke it up real quick. No issues. It was just a few seconds. However, he didn't see how it got started. Monday rolls around and after work I let them out, we go on a walk, come back and I sat on the couch. Balto lays down at my feet and Missy is in the kitchen, drinking, then she moves to her bed, then moves to Balto. From the corner of my eye, I see her get in his face a bit and sure enough, they start fighting. Ended in seconds. Wednesday:. Balto follows me into the bathroom in the morning. I conclude my business in there, wash my hands and go to step over him to leave, instead, he stands up, and waits by the door. I open it and we start to walk out. Missy is over on her bed, which is caddy corner to the bathroom door. There was no warning. Balto covered the short distance between them and attempted to tear into her. I mean, there was no growl, no snarl, no change in pace or body. My boyfriend came running out of the bedroom and it took both of us to get then to stop. Balto backed down first, for a moment, but Missy didn't let up and that renewed him. In the end, it probably lasted a minute and no blood was drawn. That evening, Balto had a vet appointment. We do that, even speak to the vet about the fights and she said it's probably just them trying to work out a pecking order. No biggie. Once there, I took off Balto's collar to try and get his rabies tag on, I got up from my original spot and was moving towards the dining room for better light, with Balto following me. Suddenly, all **** breaks loose, again with 0 warning. My boyfriend saw Balto attack Missy, this time she wasn't even near him and he was out for blood. He ended up getting it, somehow my boyfriend ended up in between them (he didn't start out that way and we have no idea how it happened, and we both recognize we did NOT handle the situation well or correctly at all, which is embarrassing because we BOTH know better). He ended up in the ER and needing 3 stitches, he got a hole in his thigh from Balto going for Missy and missing. Fast forward to this past weekend. We have a friend who was in the army and trained protection dogs who now works at PetCo. She had seen Balto the Sunday we had all gone out and could not believe the story. She asked to see him, so I brought him down and she examined him. She confirmed that he was 100% protective of me, we watched him as a couple of ladies walked past us. Balto's ears pricked forward, he had been panting a bit from anxiety, but at this point, he closed his mouth, and stared them down, tracking them as they walked by. He did the same thing with some men, but with stiffer body language. She concluded that not only has he had some protection training (minimal, but enough), but that he may have been abused by a man. She also said he had anxiety, which fed into things. She was very surprised and confused by the behavior, saying it was like we had a different dog and expressed concerns that the shelter had drugged him the day we had adopted him (we we're over 2 hours away, they knew we were coming and would have had the time). She gave me several training tips, but all in all said that he should be an only dog, period. No letting him lay down at my feet. No enclosed or small spaces. No sleeping in the bedroom for either dog (we had been letting both of them do so on the floor, then started crating). Always lead him on walks (he did like to lead). Break his focus when he starts to track. He absolutely cannot lean on us (feeding into anxiety). No kids or small animals. Absolutely no touching his mouth/muzzle. Boyfriend needs to spend more time with him than me. And of course, no feeding into his tantrums (which we weren't doing, but just to cover all grounds). The point of this long post... Are there any trainers on here that can further help us with Balto's training? 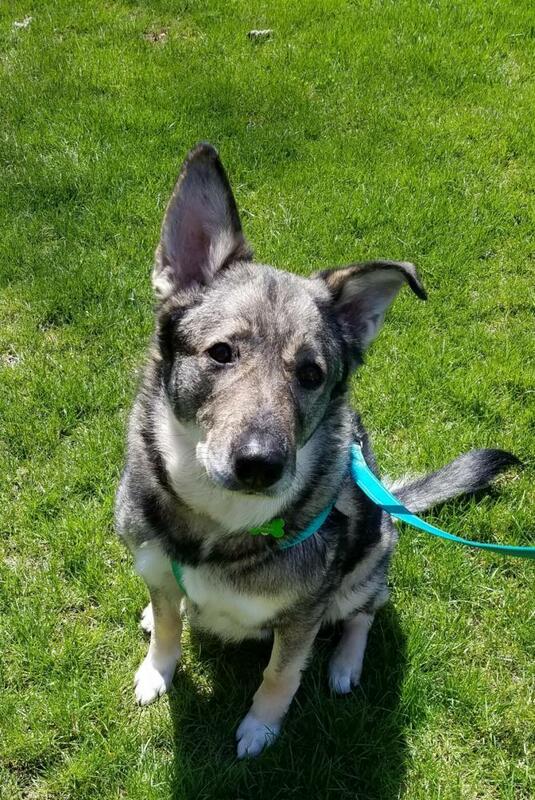 We understand that he most likely have to be re-homed, and we have a good friend who will gladly take him once he moves (which may be some time), but until then, this dog needs to be trained. We fully understand this is going to be an every day training, I used to train dogs myself, but this is new territory for me. I need help. 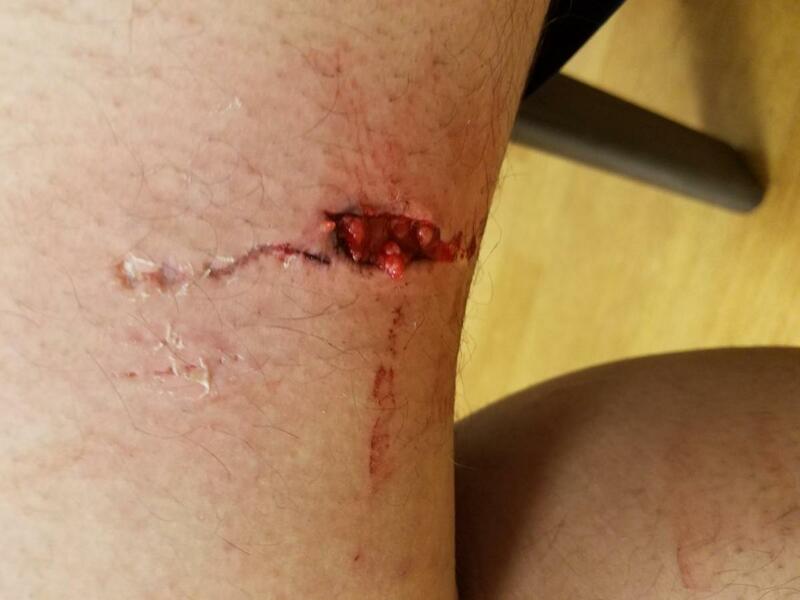 Picture of the bite wound, it may be very graphic to some! from what you wrote, I would follow your friend's advice. She had the chance to see your dog in person and the rules seem fair and sound. The other thing we often suggest is a two to three week shut down. No lunches out, no pet stores, no visitors, just crate time, leash walks and a chance to learn the new house rules. Since Balto doesn't know what is what, I can see why he might guard you as a valuable resource. and very well written post !! i coudln't stop reading !! sorry i have no advice on my end but i hope it works out. and perhaps the friend who will eventually take balto knows what kind of dog he/she's getting and is experienced enough to handle him. otherwise, balto will be homeless yet again. To be clear, we absolutely have been following her advice, to the letter (I know you're not implying that I'm not) I'm just wanting to make sure there isn't more that we should be doing. Or if there is a better method. Oh, I should add, she said absolutely no tools that could further aggravate him, so no shock, prong, or choke collars (those were specifically mentioned). The person we have in mind is actually my boyfriend's boss. He is WELL aware of the situation and has had GSDs before. When the time comes, I fully plan on taking him aside and training him as well. I love Balto to death and I will not have another incident like this. Thank you for the well written post comment, too. &#x1f60a;. Well my take is a bit different. I don't see protection or training from your very well written post. I can't see your dog but I would put money on a displaced dog resource guarding. You being the resource. You brought this dog home, then took him all sorts of places which triggered some level of insecurity and he felt a need to defend his position. If you trained dogs then you should know that it is not generally recommended to flood new dogs with stimuli. You have a dog that was surrendered by an owner that he was probably really attached to. He was taken from his home, and by the sounds of it it was a good home because she likely surrendered him to save him from getting shot if he was killing chickens. A Malamute/GSD cross doesn't necessarily need to be LET roam. Malamutes like to wander and they are pretty good at making it happen. Add the brains of a GSD and he was likely letting himself run free. Closing his mouth just means he was paying attention, could be good or bad. Abused by a man is the most common myth I hear, it's seldom true. Almost all dogs respond to men and women differently, it's normal. I have a dog that flinches if people reach for her. She has never been beaten, and I can guarantee that. As far as a rescue drugging him, highly unlikely. More likely he was scared and confused so his behavior patterns were altered. Resource guarding generally escalates if not corrected and can be dangerous with a large and powerful dog. I would find a trainer and do so quickly. I agree with keeping the dogs apart and muzzle training. Jax08, IllinoisNative, JessicaR and 1 others like this. Yes, I am aware of the stimuli, and I repeatedly told my boyfriend we needed to go home and the dogs had had enough, but I cannot force him to do anything. There are two of us in this, and as hard as I push him, he just refuses to listen. As mentioned above, he already went out and took Balto about. I can't stop him. I'm not entirely sure what you define as a good home, but in my opinion, letting your dog free range outside to do as he pleases is not good. We have no doubt he was surrendered because she cared enough not to let him get shot, but she didn't care enough to keep him safe in the first place. As for being drugged, hey, I don't know. I don't think a shelter has medication to just waste, but it was a thought all the same. In regards to protection training (and I may not have made this clear, as I was typing it up at work) it's not so much that he was specifically trained for protection, but more someone introduced enough of it to him. With resource guarding specifically, why is he not then also acting like this with my boyfriend? He could care less what he does or who approaches him. He never escorts him either. We've both walked, fed, and played with him. I apologize if I sound defensive, I honestly don't mean to be, I'm just trying to cover your points. Resource guarding of people tends to be a specific person, not just people in general. For whatever reason the dog has decided that you are his. It is a much more common behavior then most people think, and it generally results in other pets and family members getting bitten, just like every other form of resource guarding. It's dangerous and needs to be addressed. I worked with protection dogs for years and the one trait that is non negotiable is clear headedness. Your dog does not have that. Any training would have started with unfailing obedience, which your dog also doesn't have or he would have stopped his attack on command before your boyfriend got hurt. If you mean that someone purposely riled him into barking and biting that's possible, I see it a lot. It's also irresponsible and needs to be untrained. It's eliciting a response based on fear and anxiety not defense and dogs trained to do things like that will seldom hold under pressure and often become a liability. With regards to good homes, keep in mind that in rural areas dogs are often granted much more freedom and while I don't necessarily agree with it different people have different ideas. Also as I said a Malamute/GSD did not really need to be allowed to run loose. It's a cross that could easily result in an extremely powerful and intelligent dog more then capable of letting itself out and Mals like to roam. As far as your boyfriend, while I understand that different people have different ideas if he cannot commit to working through this and following instructions that relate to training then perhaps this is not the right place for this particular dog. Jax08 and Lesa2093 like this. Agree with everything Sabis mom is saying. This scenario is exactly the same as our last boxer only the resource was my husband. The zeroing in on people. The attack. she was neither trained in protection or ever abused. We had her from 8 weeks. She was weak nerved and anxiety ridden. She would attack any dog that came near Scott. Attack my shepherd of the washer went off balance. Attack my shepherd if she farted wrong. Don't make excuses, or try to theorize what causes it, just work on stopping it. Another point is to keep the dogs separate. Stress hormones stay in their body for weeks after a fight so more fights are likely to happen. The advice your friend gave you for rules seems reasonable. I don't agree with her theories but the rules are good to start. Sabis mom, car2ner, Lesa2093 and 2 others like this.